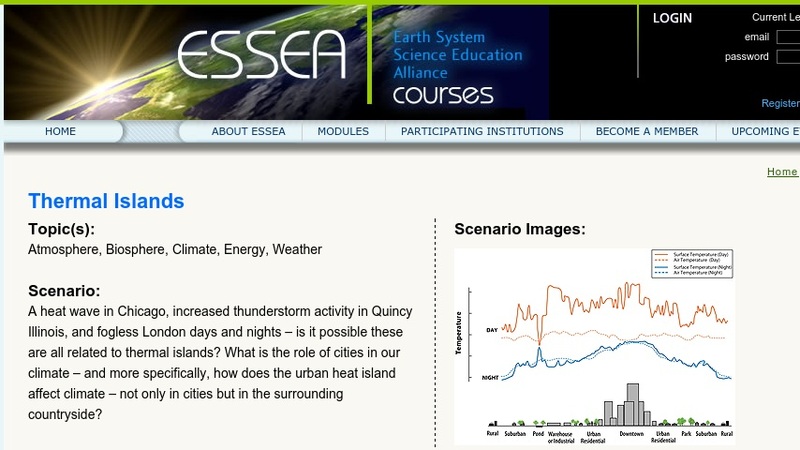 In this problem-based learning unit, students learn about the causes and impacts of urban heat islands. Numerous studies have shown how concrete pavements and buildings retain heat in cities, making cities several degrees warmer than the surrounding countryside. Students investigate the role of cities in our climate, specifically how the urban heat island affects climate. Instructions to access NASA data are provided along with additional resources and activities. This module was developed for use in the Earth System Science Education Alliance (ESSEA) professional development courses for middle and high school teachers and is also available to teachers to adapt for general classroom use. See Related & Supplemental URLs for a demo course showing how this module is integrated into an ESSEA course for teachers.